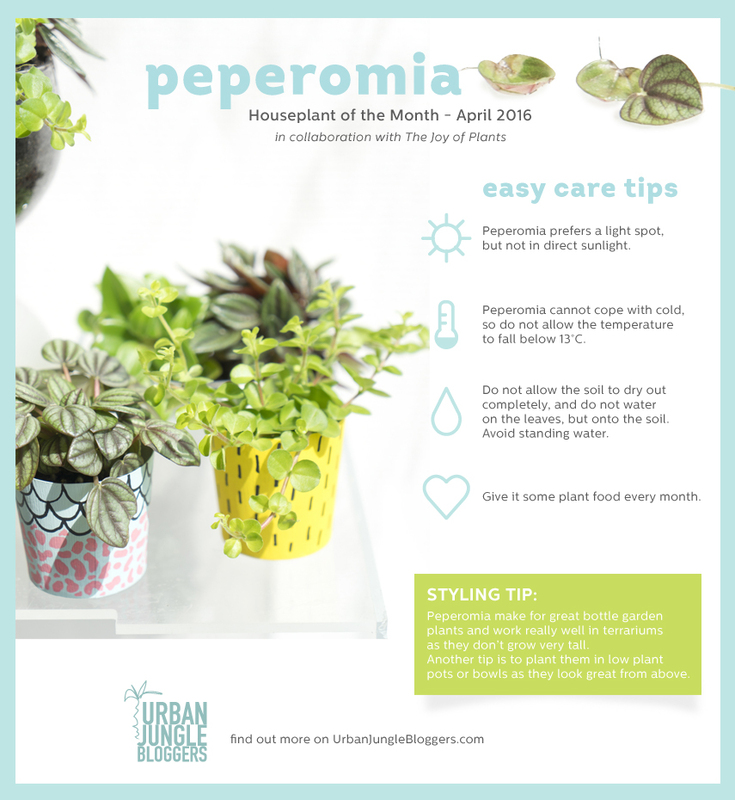 Her name means in Greek “pepper like” and that name is not sheer invention – this month’s “Houseplant of the Month” is related to pepper and stems from the hot and humid Amazonas jungle in South America – let us introduce you to the Peperomia! Sometimes this compact, little plant is referred to as dwarf pepper, crocodile’s tears or swan spice – most of its derogative nicknames derive from its peculiar looks. It is growing compactly and comes in a variety of colors from dark greens, reds, yellows to silver hues. Additionally, its foliage is rich in texture and pattern and comes in a variety of sizes and shapes too, from small and luxuriant to long and pointy, sometimes with markings and other times with two-colored leaves (each leaf side features one color). 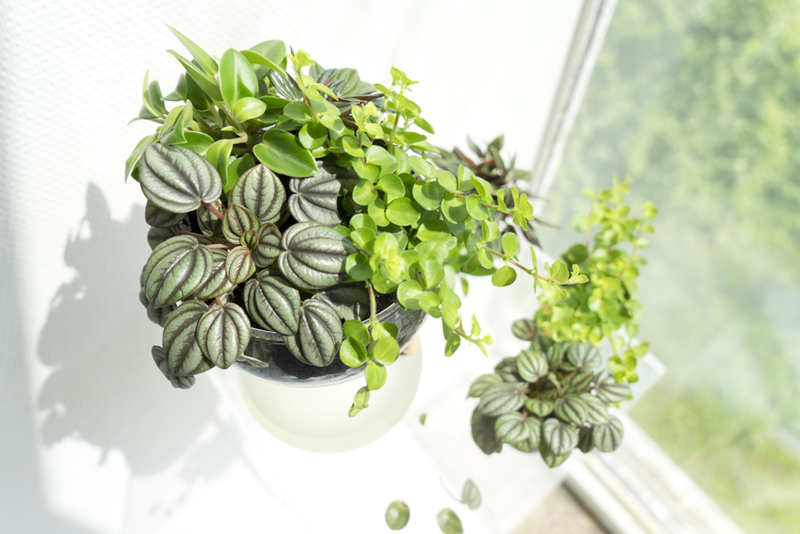 The Peperomia is an excellent plant for beginners or anyone with hardly any time for plant care. It is one of those plants that actually like to be neglected a bit – rather than being taken too much care of. In its natural habitat the Peperomia grows under trees where it’s warm and shady. So any place with no direct sunlight and a moist soil will make the plant happy! 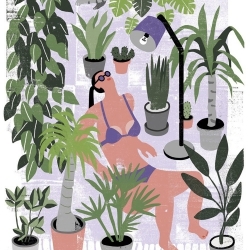 Little tip: When you water the plant try not to pour water over its leaves. Instead let it sit in water for a little while, let the excess water drain and all is good! 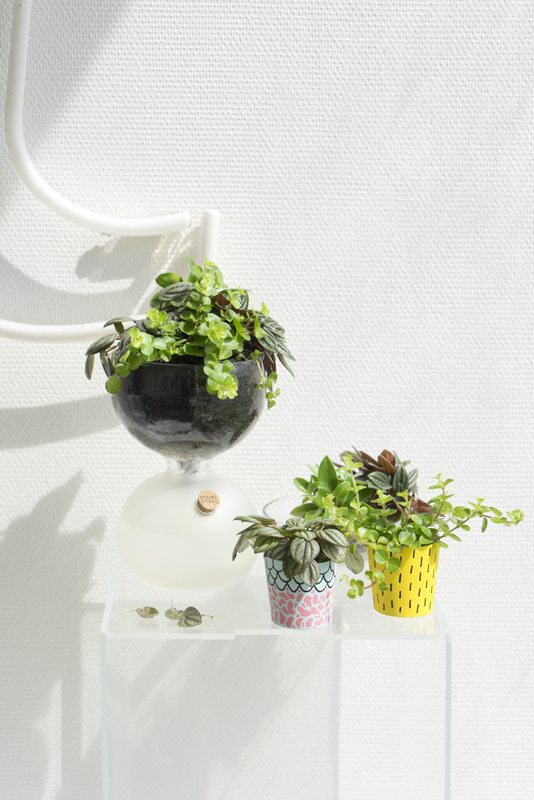 This cute and decorative plant is perfect for plant stylings at home. They make a great statement when combined due to their rich variety in colors and shapes, they also make for great bottle gardens and terrariums as they do not grow tall. 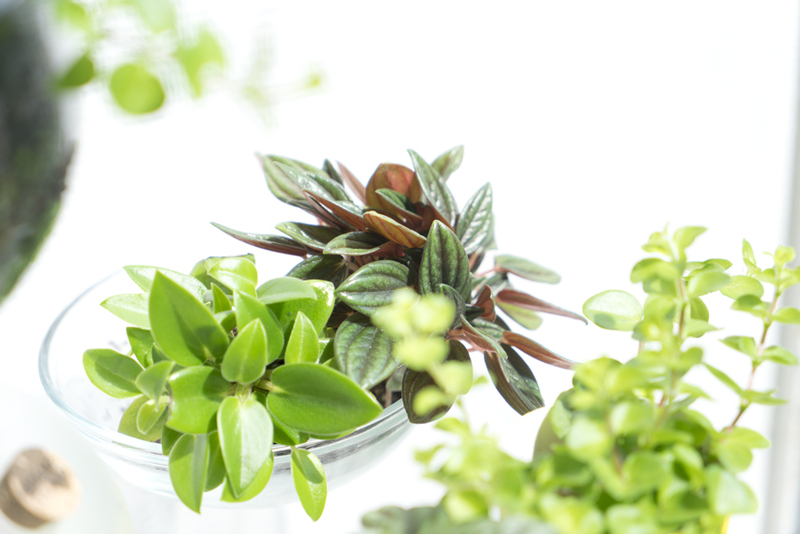 The lush and bushy appearance of the Peperomia is also perfectly matched with various shapes – think of styling vignettes using geometrical shapes to create visual interest. Also natural materials such as wood, cork and linen work very well with the round shape of the Peperomia. 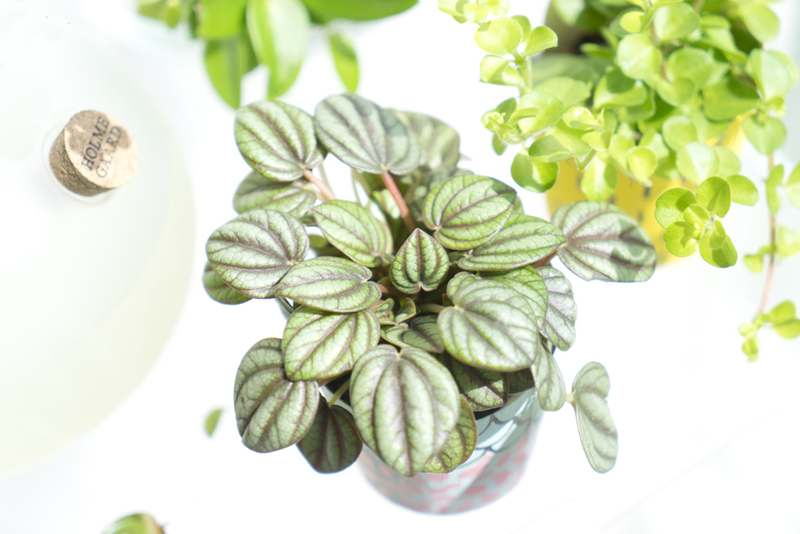 When you are out for your next plant shopping session, keep your eyes peeled for the Peperomia – it will make for a perfect addition to your own urban jungle! 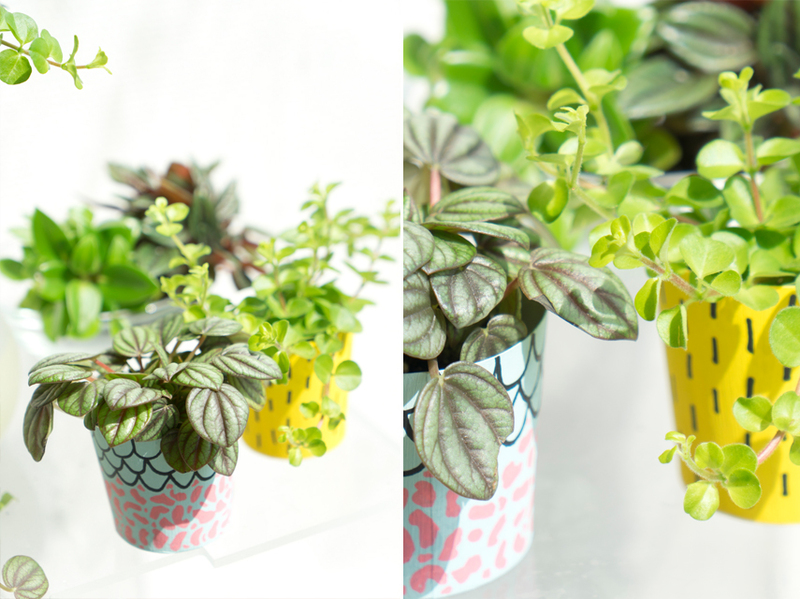 In these photos, 4 different species of Peperomia are styled in a Holmegaard Gaia Plant Glass and in 2 DIY decorated paper cups from Morganours x Etsy x Le BHV Marais. Houseplant of the Month is an initiative from Mooiwatplantendoen.nl and Bloemenbureau Holland and in collaboration with them we will present you every month a new Houseplant of the Month, right here on Urban Jungle Bloggers.